An iPad wouldn’t be as much fun when doing research, emailing or streaming music without a few cool accessories to go with it. Set your student up right at school with everything they’ll need, such as a charging station, case cover or multi-colored stylus pens. They will love their new and exciting accessories. 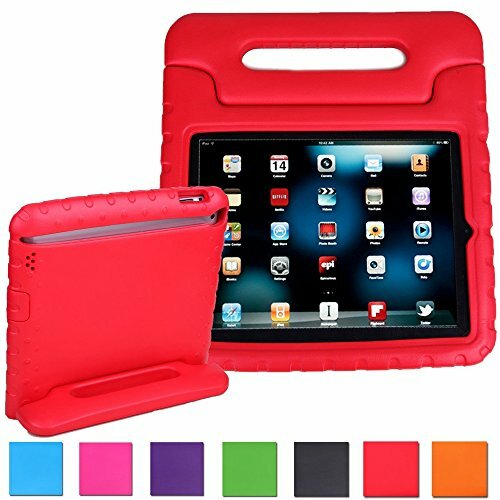 You will feel secure knowing they are prepared and their iPad is protected. Below are 10 of the best accessories available for your iPad. Organize all of your Apple accessories in one stylish compartment. This uniquely elegant charging station will hold an iPad, iPhone and Apple Watch securely in place. The 3-in-1 design is made of smooth, rosewood bamboo that is sure to compliment any furnishings yet durable enough to stand a few bumps or falls. Charge all of your accessories during the evening. During the day the docking station can firmly cradle your iPad for watching videos or scrolling. Attach the included adhesive pads to the bottom to avoid scratching soft surfaces. Keep your iPad upright and secure with this iPad Pro Stand. Available in a stylish two-tone gray, the heavy-duty aluminum can hold up to 11 pounds. With the touch of a side-hinge button the stand can be adjusted for the perfect viewing angle. 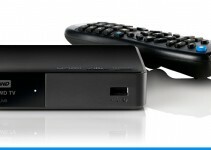 Position the base for either vertical or horizontal viewing. 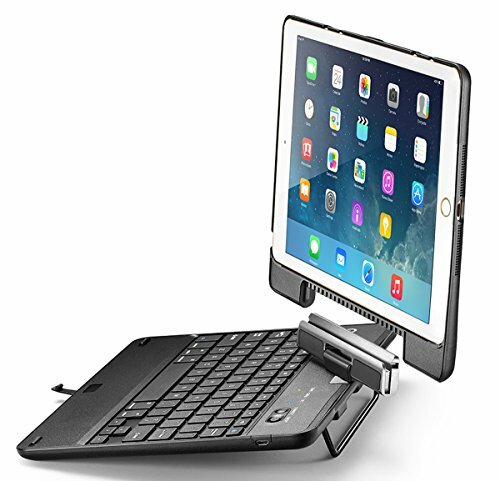 This stand comes equipped with several non-slip tabs to grip surfaces and your iPad, protecting it from moving or falling. The stand is small enough to sit on a small desk or nightstand but large enough to comfortably accommodate any size tablet and smartphone. Fold it flat to transport in a purse or backpack to be used with your tablet anywhere you go. Designed by Stouch, this simple to install glass protector will ensure safe transport where ever you and your iPad go. The 9H hardness is durable enough to guard against drops or shocks. The 0.25mm thickness of the glass is scratch and oil resistant while still offering excellent touch sensitivity and supreme visual clarity. The anti-shatter film will protect the iPad screen if dropped. Should you have a fall, for added safety the tempered glass is designed to break into tiny pieces rather than large and jagged sections which could lead to cuts. 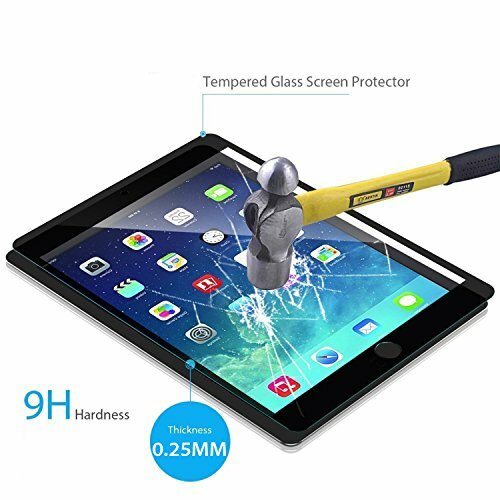 Stouch 100% stands by this iPad Screen Protector, offering a life-time warranty if you are not fully satisfied. This is the ultimate case in protection and shock absorption for your iPad Mini, Mini 2 and Mini 3. The highly durable front and back covers are made of EVA foam which offers a firm gripping surface to protect against accidental drops. The foam iPad case is non-toxic, so even toddlers can safely play with it while also protecting the tablet against scratches, fingerprint smudges and dust buildup. There are eight bold color choices, each allowing perfect access to all ports and buttons. Hold the attached heavy-duty stand flush to the case, and it can be used as a solid grip handle for reading or viewing videos. Scroll through your iPad in style with this stunning champagne gold stylus pen. 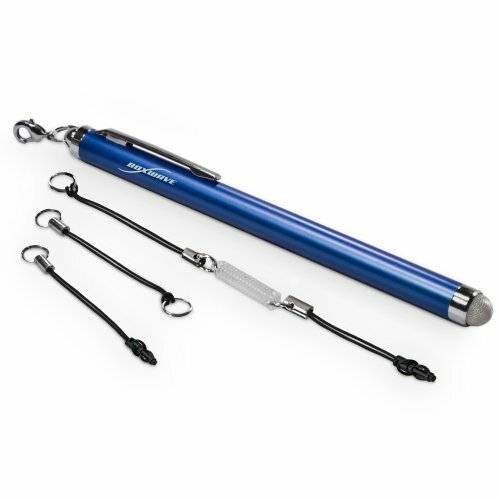 Also offered in seven other beautiful colors, this stylus can be used with any Apple device. The FiberMesh tip is firm and feels like a real pen which allows for precise control to draw, take notes or just doodle. The solid design won’t crack or tear like a usual rubber stylus. The pen is a half-inch taller than most which offers a sturdier, more accurate grip. Clips are included to attach to lanyards or key chains for easy accessibility and to prevent misplacing. For those always on the go but who want a more professional loo, Snugg offers this all-in-one cover and convenient hideaway wallet. 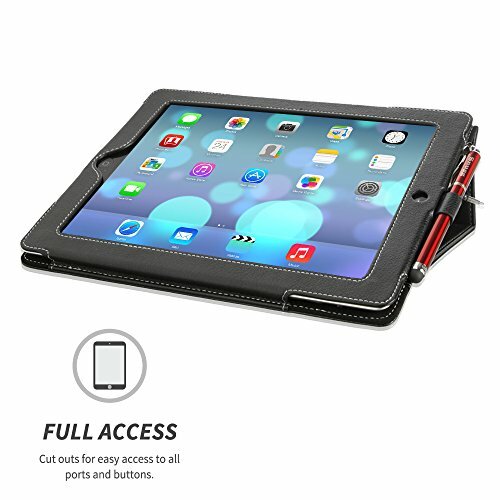 Exclusively designed for iPad 3 & 4, the attractive black or brown leather cover allows for precise access to all ports and buttons. 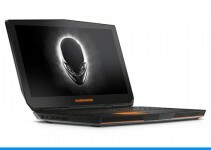 The heavy-duty case has the option of two positions, perfect whether you are typing or watching videos. Confidently give a speech or a presentation. The finely crafted handle lets you securely hold the iPad without fear of it slipping out of your grasp. Your favorite stylus can easily travel with you sitting nicely in the side loop. The premium feature to this case is the built in pockets and slots for identification and credit cards. A secretly hidden inside pocket can safely hold important documents or money. Keep your tablets and phones charged even during road trips. This 10 amp, 50 watt charger is compatible with Apple, Samsung, Android and Windows devices. The sleek round design fits securely in a standard cup holder. Utilize the five ports to charge all of your devices at once. 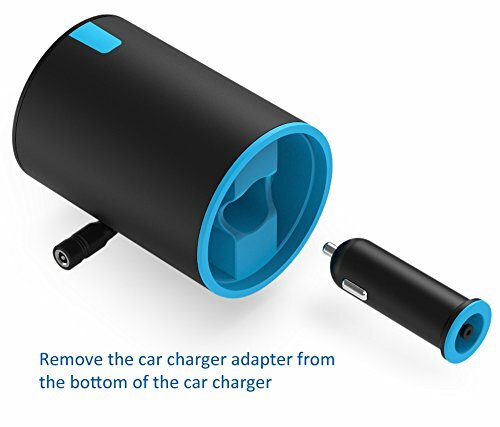 Plug the adapter into any standard cigarette lighter, and then plug in your devices to the charger. Don’t worry about being confined to your car waiting for your device to charge. The ChargeWise technology will instantly charge your tablet or phone at the fastest possible speed. The USB cable effortlessly connects and removes from the lighter socket but will still firmly stay in place during charging. Take your music along, even in the shower. 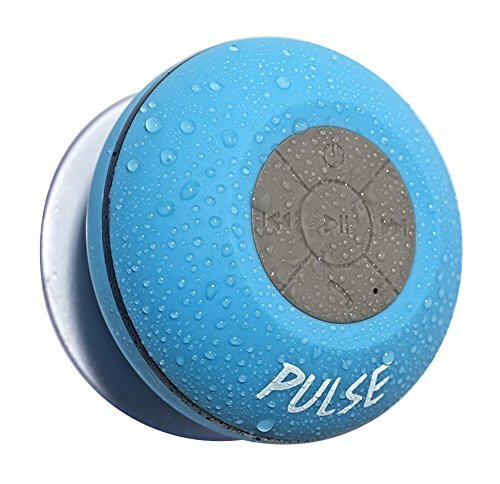 CSJ Sound created this wireless Bluetooth shower speaker for the ultimate bath time experience. Premium, Hi-Def sound is produced by a high-quality sub woofer. Sync the speakers with your iPod, iPhone or iPad to get the party started. The lithium battery will keep you continuously rocking for up to six hours. A speedy three hour charge time will have you jamming again before you know it. The solid, durable design is damage resistant and includes a mic for hands free use. Turn down the bathroom lights and turn on the bath time fun with the especially entertaining LED light feature. 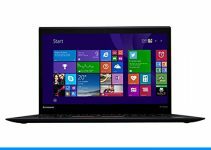 Turn your iPad Air or iPad Air 2 into an easily accessible laptop for college. This detachable case is designed with a heavy-duty matte finish which offers superior protection during use. Effortlessly connect the tablet to the wireless Bluetooth keyboard by the on/off button. The tablet will safely stay in place through the secure locking mechanism. The keys are spaced farther apart like a standard keyboard for a more natural typing experience. Rotating hinges allow the tablet to be turned at any 360 degree angle and tilted from 90 to 150 degrees for maximum viewing. 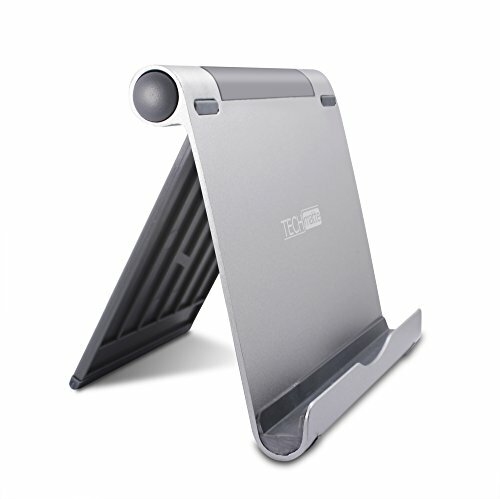 The durable metal stand will keep the tablet and keyboard in place while typing on a lap or surface area. You will enjoy a crisp, clear sound whether on the go or relaxing at home with these noise cancelling headphones. TOTU’s superior technology ensures clear, high-definition music or speech. The rechargeable battery will run for five hours before needed its next charge. These Bluetooth headphones are compatible with iPhone 4, 5 &6 products, iPad Air and Samsung Galaxy devices. A thin, flexible band wraps around the hairline to keep the headset securely in place. Effortlessly answer calls, adjust volume or change the selection of a song with the simple to use interface design. 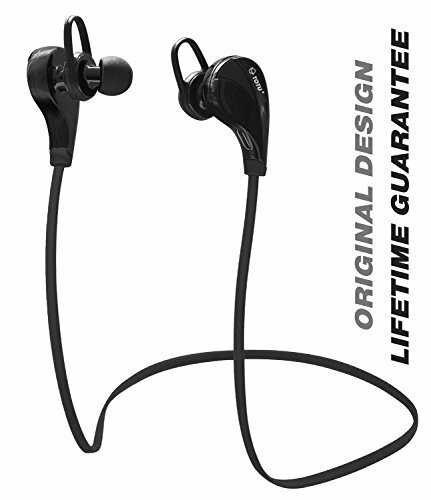 Five earbuds in various sizes are included to guarantee a perfectly comfortable fit.